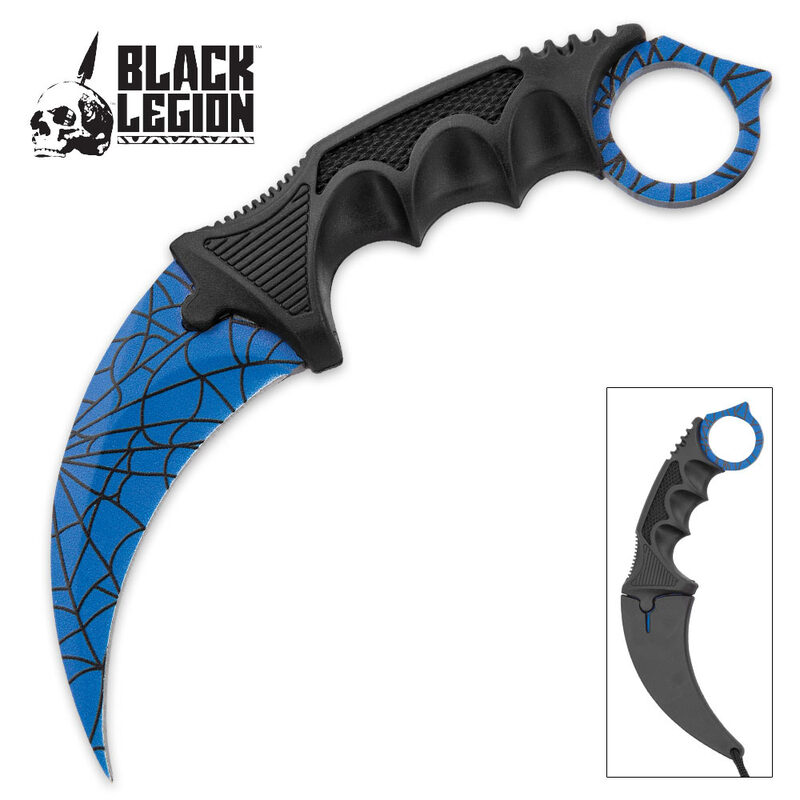 Your adversary will get caught in your web when you wield the Blue Web Karambit from Black Legion! The textured handle ensures that you have a secure and comfortable grip when wielding it. 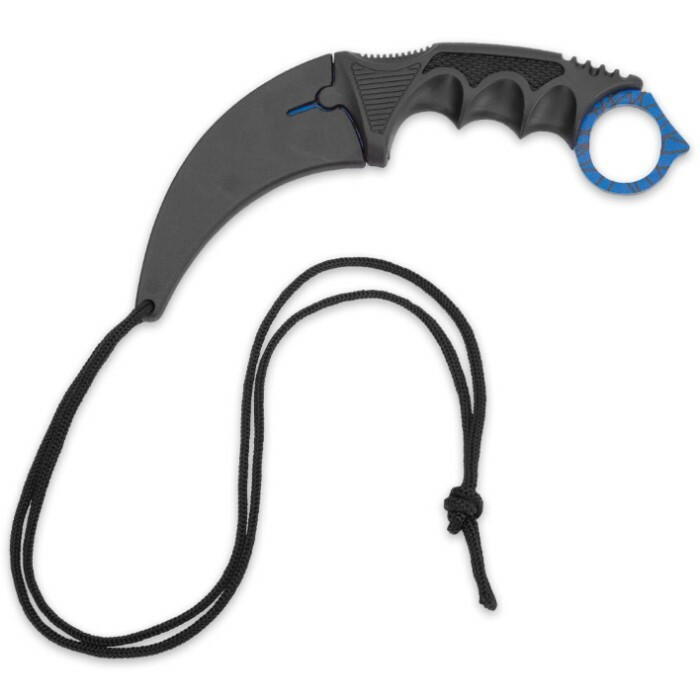 The karambit has a 3 1/2” blue coated stainless steel blade with an intricate spider web design. The included sheath is of heavy duty plastic and features a lanyard. 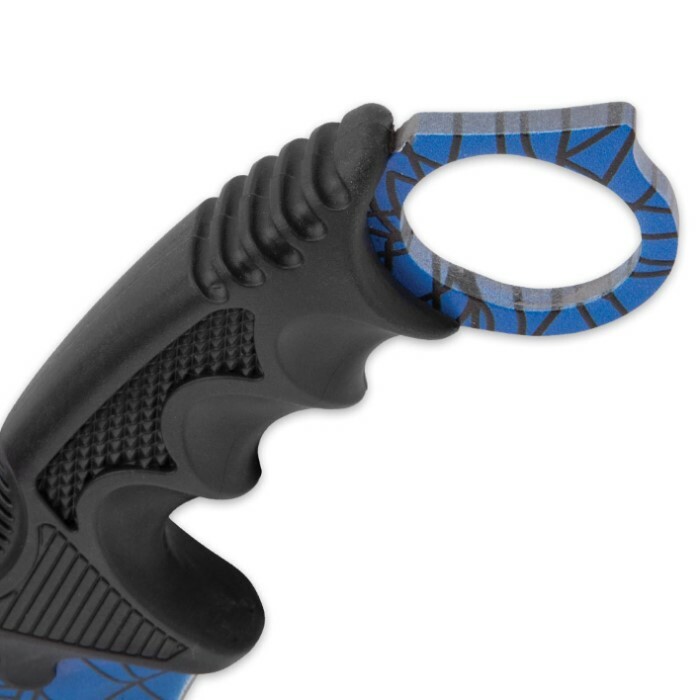 The Blue Cobweb Karambit looks striking as you pull it out of its sheath and will definitely get second looks from your friends.